Do you know how to exploit the landing pages search function of Google’s keyword planner tool? Did you know that using underscores in the URLs of your website pages (for example blog posts) could potentially be costing you search traffic? Interested in learning ways to drive traffic to your website that don’t involve SEO (Search Engine Optimization)? Find the answers to these three questions in this week’s #FridayFinds. When Google first eliminated their external keyword tool and replaced it with the Google Keyword Planner tool, there were a lot of bloggers who were upset. To be able to access this tool, you have to login to your AdWords account. (Of course, this means if you don’t already have a Google AdWords account, you have to sign up for one.) Many bloggers perceived Google’s action as simply withdrawing a previously free public service while continuing to make it available to advertisers. Note: Be sure to read the comments for additional ideas too. What keyword research tool do you use? Have you ever used any of the tactics that Dan Shure suggests? Did you know the difference in the potential impact of using an underscore in your URLs versus a dash? Do you agree with Ana Hoffman that SEO is dead? Feel free to weigh in with your thoughts and ideas. – As I always, say, we can all learn from each other. For more great information, connect with the featured authors, Dan Shure, Anca Bradley, and Ana Hoffman on Google+. Thanks for this awesome tutorial and I really never knew these 3 amazing facts about Google regarding Search Engine Optimization. It helped me a lot. You’re very welcome Ammar. Thanks for letting me know that you found it valuable. Thanks for the infos, of course, the way to do SEO has changed since few years, but I’m trying to keep the a basic idea when working on it. There is a way to do it when working on SEO optimisation, As explained at simple-seo-tutorial.com linking section, (I agree with them), building links with quality writing will always help, even if in these days SEO has became not so easy as the previous years. There are certainly some very simple ways to optimize our blogs for the search engines. One small change that I made years ago (which made a significant impact on the amount of organic traffic that I was getting) was simply to start using H2 and H3 header tags. Not only is that good for SEO but it also helps to break up our articles and guide our readers to content that may intrigue them. So many readers skim content these days that using headings can make a difference. It’s nice to meet you here on my blog. Thanks for joining the conversation. Nice post and according to me, I don’t think that SEO is dead, its become more difficult but not dead. I use new keyword planner tool bit it is not better than the previous one. Now its become more difficult to use it. Thanks for sharing this post with us. I agree with you. SEO is very much alive. The vast amount of my traffic comes from organic searches. I know we can’t depend upon it but it’s free and I honestly don’t spend a lot of time on SEO. I’ve just developed good habits and (at least so far) I’ve managed to avoid being targeted by Google for unnatural links. In the past, I have been hit by Google’s algorithm changes and today Google announced the release of Panda 4.0. So, hopefully, that will be good news for me and I won’t be hit again. Thanks so much for taking the tie to weigh in on this. It’s nice to see you here again. It is important for bloggers to write SEO friendly post because SEO of a blog is the main key at which they can get success. I have encountered with many bloggers who don’t even think about Google or any other search engine. They dramatically use their own keywords but still having a good success rate. Without Google a blog can reach up to peak of success only when it’ about brand building. When a blog has it’s brand name then readers will visit themselves. But ultimately that blog is also needed to improve SEO because there are some chances that Google may penalize that blog. First, I want to apologize for not replying sooner. Somehow, your comment got by me. I always look at SEO as something that we can incorporate into our blogs without obsessing over it. Organic search traffic is by far my top source of overall traffic but I honestly do not spend a lot of time doing keyword research for this blog. I just concentrate on writing content that I feel readers will find valuable. You raise a good point about Google penalizing blogs. It’s important that all of us pay attention to SEO in hopes of staying out of trouble with them. As always, thanks for dropping by and contributing to the conversation. I hope you found Dan Shure’s article on using the Google keyword planner tool gave you some ideas and that you enjoyed Ana Hoffman’s suggestions as well. it just means you have to put on some more effort on your website and content rather than spamming the internet with useless content about your site. i still use Google’s Keyword planner, best free tool but for the on-page SEO, which now contributes 80% of the work, i like this tool, woorank.com, simply awesome, must check it out if you’re in the SEO business. I’m honestly not familiar with WooRank. I checked it out and it seems to be a website review that you’re signing up for. I did see where they offer free online marketing training. That could potentially be helpful but I’m not sure where the value would be in signing up for their services at $49 a month. Is this a tool that you use all the time? Thanks for your input. Is there anyone else here who uses WooRank? you don’t have to sign-up, you can try it for free. you can get a free report easily and fix your web. you can sign up if you have tons of websites to monitor and keep updating all the time, but for a single web there’s no need to, u can get the most of it for free!! i have nothing to do with the tool, i’m not promoting it or anything, i genuinely use it for free to analyse once, every website i get hold of for the first time! Thanks Mitch! I saw the free 7-day trial I wondered if you just used it just one time. I will definitely put this on my “to-do” list to check out. I’ know if I sign up now, I’m just too busy to do it justice. That’s clever of you to do run it on each site. When I think trial, I automatically think of one chance but you’re right! We can try it on different sites simply by registering with a different email. I appreciate your sharing this with us! Well frankly speaking I did not find anything new in the above article except the second point. When Google has changed from Google external tool to keyword planner I was not much disappointed but was eager to find out about the new tool. I use keyword planner a lot and have no problems in using it. It has same features as the earlier tool had and also appended with some new features which is mostly helpful for paid advertising users. The second point of using underscores is totally new for me as i have joined this internet marketing and blogging world recently. Coming to SEO I don’t believe that SEO is dead . Eventually SEO is not dead, however in the event that you depended on some grey or black cap strategies, you could be concerned or lose your positions and rankings. I have come into blogging late and just had great experience with the little external link building. It’s good to hear that you didn’t have any problems transitioning to Google’s keyword planner. I think the biggest obstacle for some people is that they were unfamiliar with Google AdWords and some were (understandably) reluctant to have to create an account to access a tool that had been free and anonymous. The entire link building strategy has been taken to a new level with the recent Google web spam actions and the de-indexing of sites like BeMyGuest.com. (That certainly got our attention.) It’s become evident that some sites with connections to them were penalized as well. All of us need to be very aware of what sites we’re linking to and which ones are linking to us. Thanks so much for coming by and sharing your thoughts with us. I probably use the keyword planner, as well as webmaster tools, on a daily basis. I’m glad that you pointed out the impact of using underscores in URLs; it is easy to avoid at the time of publication but a headache to undo afterwards if used. It sure can be a headache to start changing underscores to dashes. If you change your permalink, you should really do a 301 redirect. It could be a lot of work! Sheryl like always you came with something that makes readers happy as they can get better results in their work.the google tool is something new and I would have heard about it but not this soon if you weren’t here for people like us.I think it really worth giving a try. James Frost recently posted..What Accessories Are Available For Samsung Galaxy S5? Thanks for dropping by and adding your thoughts. I used keyword planner and get alot of value out of it as a research tool for post titles and keywords. Real competition has to be checked elsewhere, but it is a great start. The dashes vs underscore. Well as a web developer I use underscore a lot, but for SEO always dashes! So I am not concerned about the results of that discussion. Thanks for letting us know that you use Google’s keyword research tool. It’s what I use too. Although, as you point out if you’re serious about checking real competition, there are other tools that may do a better job. Ana comes up with some of the most creative titles and her posts are often so packed full of resources that you need to bookmark them. I know that you’re still relatively new to blogging but you have done an amazing job of building your brand and driving traffic. 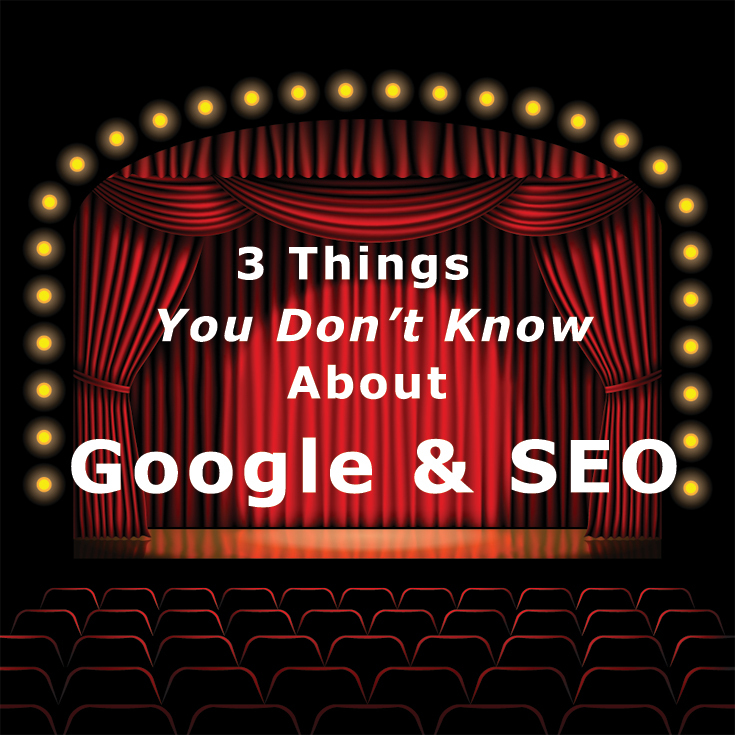 So, it’s great to hear that SEO is not your number one concern. I’m sure there are many readers here who will appreciate knowing that. BTW – That’s interesting that you still use underscores for development work. I did see Ana’s post a while back…I am going to go back and give it a second (and perhaps a more deeper) reading. I am not doing much on marketing, especially general marketing, other than promoting content (that too is limited). Most of my time/effort is spent on commenting (which is great for more comments, but we need more traffic, right?). Anyways, thank you for the share, Sheryl 🙂 Appreciate it! Jeevan Jacob John recently posted..I am loving the ideas! I think you will find Dan’s post interesting and you never know. In the future, you may want to monetize your blog or launch a new site that’s marketing a product or service. I found some of Dan’s tips were new and creative. Many of Ana’s posts have several resources and I can’t always read them all in one sitting either. Years ago you saw underscores all the time. It was almost like standard practice. I used to use them, but switched to hyphens/dashes several years ago. Although, I do have a few links floating around with underscores in them yet. I never bothered to change them or 301 them. I use dashes in just about everything now. Images, file-names, links, you name it. The Fruition was a nice Google penalty checker tool, but unfortunately they don’t allow free accounts to see the last 3 months of activity anymore. They want you to upgrade to see that now. Not that I expect free everything all the time. I don’t know if it’s worth upgrading for my site. I don’t think I’d bother going back to change those links either. (I’m trying to keep moving forward instead of going back.) I use dashes for everything too. I’m disappointed that Fruition didn’t grandfather the free plan for those of us who already have accounts The only option appears to be to upgrade and the smallest plan is for 2 websites for $20 month. At this point, I’m not upgrading. Hopefully, someone will offer an alternative. Hi Sherry, I only use underscores in URL’s when I want to link words. For example, if I were going to talk about New York, I would put an underscore between “new” and “york” in my slug. I enjoyed Ana’s article. Yes, I’m very tired of trying to jump through Google’s hoops. I’ve done SlideShares and sometimes they’re a hit and sometimes they don’t generate enough traffic to be worth the extra effort. It’s kind of like a blog post, we just don’t know ahead of time what’s going to be popular! Carolyn Nicander Mohr recently posted..Getty Images Go Free, Flipboard Buys Zite and Yahoo Buys Vizify! Using an underscore between “new” and “york” is is a perfect example. Thanks for suggesting that. I think a lot of us are tired of trying to appease Google. The one thing that seems to be making a difference for me is actively participating on Google+. My organic search traffic is starting to slowly rise again and that’s pretty much the only SEO strategy that I’ve tweaked in the last couple of months. Sherryl, Interesting that activity on Google + seems to be increasing your organic search traffic. It makes sense but I hadn’t heard of anyone else having those results. Hey, worth a try, right? Sorry about the missing “L” above. Must have been a typo! Carolyn Nicander Mohr recently posted..SumAll — Your Social Media Report Card! According to this article http://keepupweb.us/1cJ7Urm, there’s a correlation between Google+ posts and higher rankings. This study (by MOZ.com) indicates that Google+ posts ranks under page authority but above both the number of linking domains and Facebook activity. That’s funny about if we all wrote about what made our blog popular – that it wouldn’t be popular anymore. 🙂 Have a great day! Sherryl, Carolyn, I guess you could also omit the space between “new” and “york” – Google is OK with us combining common terms. They’re just not cool with underscores, even though you’d expect that with all the innovations they’re coming up with – think Google Glass – they’d be able to overcome any issues the poor character causes. “I think a lot of us are tired of trying to appease Google.” There *is* life beyond G, and the idea is to build a community around your brand. Blogging and social media (as you’re finding out with G+) help a lot! I’ve always used dashes. So, I’ll just continue that. “Newyork” isn’t a keyword that people would be searching for. So, I think it’s best to avoid that. You make an interesting observation about Google Glass. They should be able to overcome the issues with underscores. There is definitely life beyond Google. I once tried to use Google’s Keyword Planner several years ago, but didn’t really care too much about it. I haven’t really used it for researching keywords, especially considering many people use it religiously. I read through Dan Shure’s article, and have it bookmarked as there is a lot of information on the page, and it will take more than one read-through for me to grasp it and follow along. I will definitely be re-reading and trying out his method. It looks very detailed. Thanks for letting me know that you found Dan Shure’s article helpful. I think he has some really creative ideas there that could potentially unearth some keyword suggestions that may not have high competition. I’ve bookmarked his article too. Thankfully, I don’t use underscores in my URL. Tried Google’s new keyword tool to find “perfect” Swedish words. Filled it all in and they just came up with one – global business development – i.e. how I described my business. Catch is it will attract unemployed people. Will spend some more time using the KW and see what I come up with. Ana Hoffman’s suggestions are, as always, great. Thanks for letting me know that you found my article helpful. That’s disappointing that Google’s keyword tool didn’t unearth any keywords of value to you. I wonder if any of Dan Shure’s ideas could help you. Have you tried using the search tool to look at competitor sites that rank well in your target niche? I do need to spend more time researching the keyword tool – it’s on the list. I tell clients not to use underscores because they are not easy to see – they look like a space. But sounds like there are more reasons. And yes, Slideshare sounds like one more way to get traffic. I post my blog talks on Slideshare – they seem to get plenty of views. I have never made a Slideshare presentation but I really should. I’ve watched and liked some of yours before. I remember reading once that someone suggested repurposing old content into a presentation using Slideshare. That’s something that I need to give serious thought to. Thanks for dropping by! I took a quick peek at your mailing list post on my smartphone but I never comment that way. It looked really interesting. I’ll be over soon to give it a good read. If you can believe this, I’ve never used Google’s new keyword planner. I think when they first changed to that program I went to check it out but didn’t really have time to mess with it so I’ve never been back. I have a paid one that I use mostly anyway which is the only reason I haven’t. Thank goodness I don’t use underscores in my URL or I think I’d be worried. I learned early on that dashes and underscores were not a smart way to go so although the URL I wanted with the dot com was taken instead of adding a dash or something else I just grabbed the dot net extension instead. I’m glad I went that direction actually. I saw Ana’s post but haven’t had time to really read it. It’s on my list so I’ll have to be sure to check it out. I did see the one on Slideshare and I’m all for going a different direction then relying on traffic from Google. It’s nice but never certain. Great Friday shares Sherryl and hope you’re enjoying your weekend. I have to confess that I don’t research keywords that frequently. If I ever get those niche sites that I want to launch, I will but for now, I just tend to continue optimizing for the keywords that I’ve been targeting all along. I know SEO is important and it’s a topic that I write about quite often but I honestly tend to just write and then figure out my keywords afterwards. Although, I am paying a lot more attention to the keywords I use for my titles. I’ve never been a fan of dashes (or underscores) in domain names. There’s just too much of a risk that someone trying to go to your site will land on someone else’s. (That’s more common than people think.) I once was at a business expo and I happened upon a man who was running a session on making money online. He was boasting about how well he was doing simply buying domain names that contained variations and misspellings of popular sites. He was then building simple sites with affiliate links and AdSense ads. This was several years ago and I have no idea if that strategy is still working for him but a lot of people in the audience were very interested in what he had to say. Thanks for dropping by and letting me know that you liked my shares this week. I hope you’re enjoying your weekend too! I remember seeing a presentation about the dangers of using underscores, the main point was that an underscore will be lost in the URL as hyperlinks are by default underlined thus your visitor who may want to write the URL down cannot see and thus omits the underscores. Google is happy to take my money but not give me any, I just checked and yes I can access the keyword planner via my Adwords account however Google still hold the position that in no uncertain terms should I ever darken their AdSense door again, promoting Amazon products on YouTube was a bad idea! Links with underscores do look a little strange and I can see how it can be confusing. That’s too bad that you ran into trouble with Google because you were promoting Amazon products. I’ve heard of that happening to other bloggers before. That’s what happens when a company like Google dominates an industry. Sometimes, it’s easy to feel that you’re at their mercy. Your attitude to SEO is shared by many. Honestly, I often share info about keyword research but I personally don’t spend a lot of time researching keywords. Well, not for this blog anyways. If I were selling a product, I would do plenty of keyword research but here, I think I have a fairly good idea of what my readers are searching on. For me, the challenge is to write better headlines with the keywords that I’m targeting. Forming relationships and building a community is a tried and true method for driving traffic to your website. Vested readers are more apt to share your content and often become clients or customers. A lot of organic search traffic ends up being visitors that don’t stay on your site long and never come back. Finding new ways to drive traffic is always a challenge. While I was on Ana’s site,I noticed the size of the images that she’s using on her posts and I did a little bit of digging. I had read that using a larger image could help with Pinterest (which in turn could potentially drive traffic) but up until this week, I had been sticking with resizing all my post images to 200 pixels wide. Well, no more! This week, I started sizing my images to 735 pixels wide (which is the width that Pinterest will expand to). Today, I noticed that in Chrome, the image of this post now has that little “Pin it” button in the upper left corner – which will encourage pinning! I had noticed that “Pin it” icon/link on the images on Ana’s site and had wondered how she did that. Now, I have to decide if it’s worth going back to some of the older posts that I have and replacing the images. Maybe I’ll try that with some of my more popular articles. Have a good weekend! I hope you find some tips you can use from Ana’s post. Sheryl — thanks for the great tips, as usual. When Google changed the keyword tool I was disappointed like most people. You can still use that tool but, as in Google searches, Google will give you the key words it thinks you should see and not an unfiltered view of the related key words. I’ve been using SEMrush.com, at Ana Hoffman’s suggestion. I don’t find it as useful as the Google keyword tool. Then again I’m not so focused on keywords anymore. I think they’re important but now Google in its new algorithm is rewarding synonyms and related phrases and not simply keywords. I’m starting to regain some of the ground that I lost after Google’s algorithm changes last year and I attribute that in part to Google’s algorithm rewarding synonyms and related phrases. What I like about Dan Shure’s article is the logic that he used in his examples. I can see drilling down that way. I’ve looked at competitor landing pages before for ideas but it had never occurred to me to research a term on Wikipedia. Thanks for dropping by and getting the conversation going.